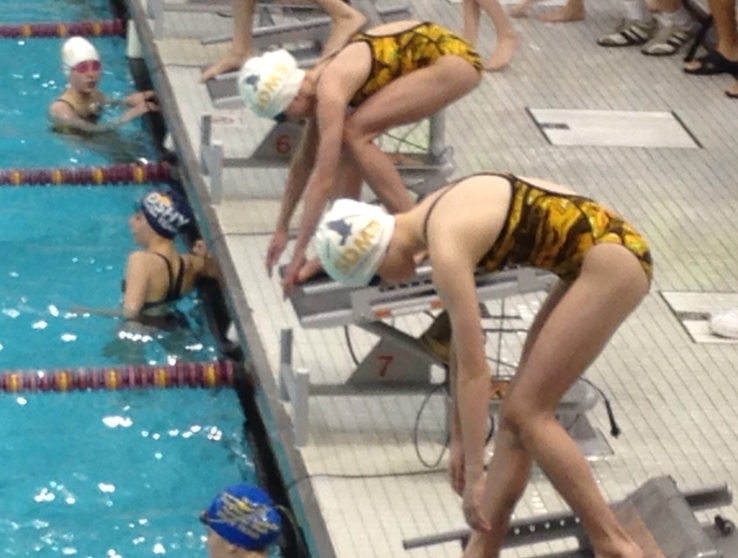 The SDMS USA swimmers attending the Riptide’s Ride the Wave meet held 11/12-11/14 this weekend. Several swimmers had more personal bests and we’re still just a few weeks into season! Everyone has been working hard at practice in order to meet their season goals like improved times, earning ribbons, and qualifying for the Midwest Regionals Meet. Here’s just a few meet highlights from the recent USA meet. As always, you can also view the full meet results. Ellie Dueland swam the 8 & U Girls 25 Breaststroke in 24.14 (-.79 seconds) and took 2nd place! Thomas McPhee dropped time in all of his events, Boys 11-12 100 Back, 50 Back, 50 Free and 100 Free.